Hi All, Well I thought it was about time to talk about how we got lucky and our son started to use his iPad to communicate. It was a LONG process that we thought would NEVER happen. I have thought at length on just HOW he started to use the iPad to actually talk and choose items. What was it that finally worked? What did we do? What was the miraculous thing that made it all happen? I wish I could say I had an answer for that, but alas, I don't. Thinking back over it I suppose there was a lot of different things that all culminated with success. Some of it was the low tech PECs training and choice boards, some of it was the early AAC Apps like Talking Cards being used and modelled, and some of it was pure luck and him being ready. One day about 2 years ago we were all sitting around the table after having breakfast, our son was happily mucking about with his iPad as he often did going in and out of Apps just checking out what they all were and what they did. He had been randomly going into the 'Talking Cards' app off and on and just listening to what each button said and we had learnt to ignore most of this exploring. This particular morning he was quite interested in the AAC App, randomly listening to what each button said and trying them out. When he started tapping 'BALL' we looked at him and said 'Ball? Ok, I'll get one for you'. He looked stunned and watched us go out of the dining room. I duly came back with a ball and sat there playing with it expectantly. He got a little agitated and vocalised, but we ignored him. I asked him to repeat what he'd said on the App and he looked confused. I then told him if he wanted the ball he needed to ask with his iPad. He looked at the iPad, looked at us, then complained vocally again. I looked at hubby and said 'Would you like the BALL? ', he said 'Yes, I would like the BALL'. So I passed it to him. I then signed Ball and asked for it back. We did this for a few minutes with our son getting most annoyed. I pointed to his iPad each time and said 'Ask for the BALL'. He eventually touched the button again and we said 'Great! heres the ball'. His face flooded with that expression we all know as 'OH! I get it'. Suddenly it dawned on him what had happened and he was very excited. I asked for the ball back and he gave it to me. Then I played with it for a bit and he again hit the 'BALL' button and I gave it to him and said 'Yes, you can have the BALL'. We did this back and forth for a few more minutes and he was SO excited. That was our big breakthrough. We were on school holidays he was trapped again in a hip Spica cast thanks to another hip surgery and couldn't do much but we had something we could work on. It was from then on that his use of AAC on the iPad just took off. We started to add extra buttons and choices to Talking Cards as his level of choosing and wanting to use the iPad to choose got better and more consistent. All through those 6 weeks of the school holidays he got better and better. We were using it mostly to choose food items, but he also used it to choose what he wanted to watch on TV, where he wanted to go to, for a walk, to the park, for a swing or even to the swimming pool. 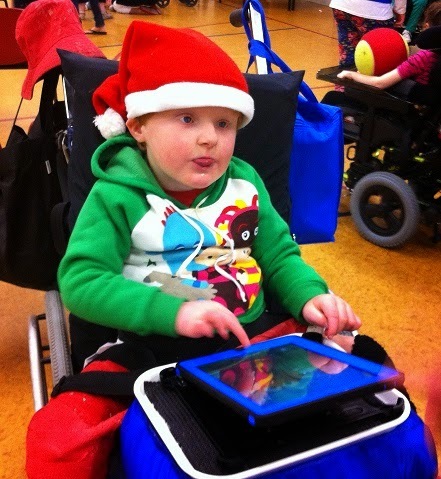 He really started to enjoy using the iPad to control things and he became empowered quite quickly. The lovely thing about it all was his frustration levels went down as he was finally able to say that he really preferred honey on his toast not jam! (this was by constantly asking for honey when asked if he wanted jam on his toast). Then school holidays finished and he returned to school. We sent along the iPad but never told school that he was using it to communicate, his teachers and aides continued to use his Choice Book which was a series of pages within an A5 Flip Book. After a few weeks of school we admitted that our son was using the iPad to choose at home and that he was rather good at it. The School SLT was amazed as were all his teachers. When they saw just how good, they then encouraged and expected him to use it to choose and converse. However, Talking Cards was really limiting, no matter how much I tried to setup the varying folders with useful buttons it really wasn't setup for an emerging communicator like our Son. I started to research AAC usage and read a LOT of blogs, webpages, joined facebook groups and generally upskilled myself on HOW to setup AAC Apps for basic communication. Both myself and the School SLT realised quite quickly that his Talking Cards App was never going to work for long. So I downloaded and setup ' Sounding Board'. Here's another disclaimer: in a previous life I used to be a Senior Microsoft Computer Engineer and a both a DBase & Web Programmer, so I am comfortable with technology. Configuring Sounding Board and setting up a flowing AAC App of choices and folders was quite my cup of tea and I found it easy. Therefore I don't suggest you do this unless you feel confident you can. Its an excellent free App, and if you can set it up with a series of folders and get it to work for you, go ahead and do it. For a few weeks it worked really well, but if we needed to add more buttons to his folders often Sounding Board would break and I would have to recreate the folders all over again. I could never get a good resolution from Ablenet the developers of Sounding Board so I had to regroup and think of another App that would do the job. By now I had to been researching on the web for a LONG time and knew of a few Apps, had seen YouTube videos, knew the costs and was aware of AAC apps that may help. But right now our Son was keen on the way I had setup things and we really didn't want to blow all that work. By now he had been using his iPad to 'talk' for about 6 months. So what AAC app could we use that we could setup to be like his current AAC apps? From what I could tell the NZ$300 App Proloquo2go was the best option. But it was expensive. So we waited until iTunes Cards were having a 25% off sale. 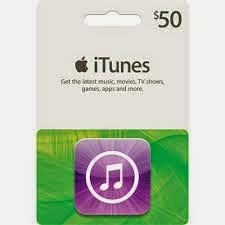 We brought enough iTunes $50 cards to make up $300 and brought Proloquo2go essentially for sale! Well at least with a 25% discount! because it was getting him what he WANTED. 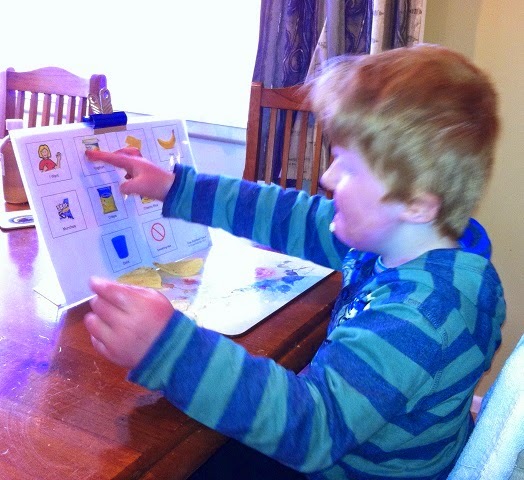 I never really understood language acquisition and certainly not in relation to my son. I didn't really know what he knew and what he didn't. His iPad communication was proving he knew and understood a lot. Here was our conundrum, we had it setup to provide 'sentence starters'. The most often used folders were 'I WANT', and 'FOOD'. In the FOOD folder I had it set based on eating times, so food items were grouped in BREAKFAST, LUNCH, DINNER and SNACKS. Over time I needed to add in Core Words so he could start to enlarge his vocabulary. This is when we hit problems, he had always had some core words thrown in there, his top line of his setup always had YES, NO, MORE and FINISHED. Obviously I WANT was core words too, but he wasn't using them in context he was using them because I had 'made' him use them in order to get to where he wanted to be, which was often eating Munchos or cheese! The School SLT was asking us to include more Core Words and we needed to start adding them in. So cue more long nights watching videos, reading blogs, and getting on the Proloquo2go parents FB group. Its here I think I will leave this blog entry as its another story in itself how we progressed Proloquo2go and added core words into his vocabulary. Believe it or not our story as you have read it so far still has about 2-3 more chapters to go! Thanks for reading my blog and stay tuned for the CORE WORD CONUNDRUM! This is a slightly advanced version of our original Proloquo2go home page. You'll see how each folder is basically a 'sentence starter'. If he touched 'I WANT', it would speak that to the sentence strip you see above all the buttons, he could then touch FOOD folder, and in that folder a SNACKS Folder, and in there CHEESE. The sentence Strip would then have 'I WANT CHEESE' on it and he could push the strip to say that sentence out loud. This is great Vivien! Gosh it's so complicated - we are only just starting this journey with our little Nate! It is a bit complicated but it doesn't need to be, just keep at it and you'll get success and good luck on your journey with Nate!